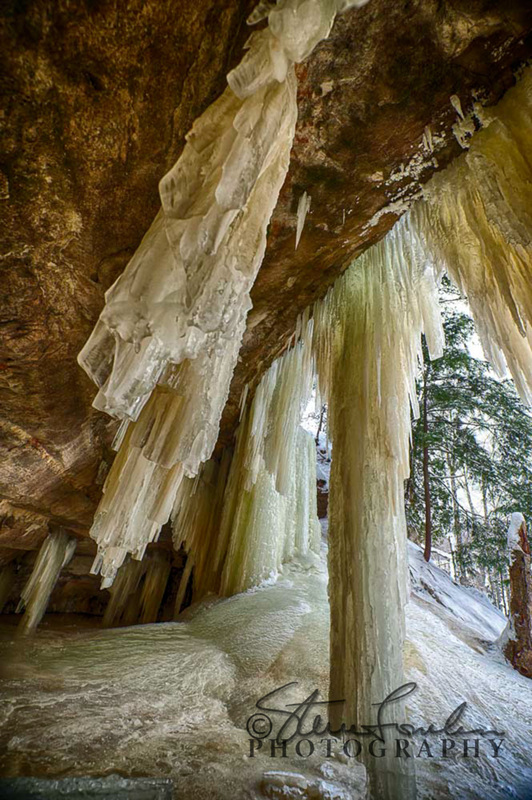 There has been a huge buzz all over northwest Michigan for the past month over the formation of ice caves off of the west shore Leelanau county north of Leland. They are are very similar to similar formations all along the Lake Michigan shoreline except these are certainly larger. 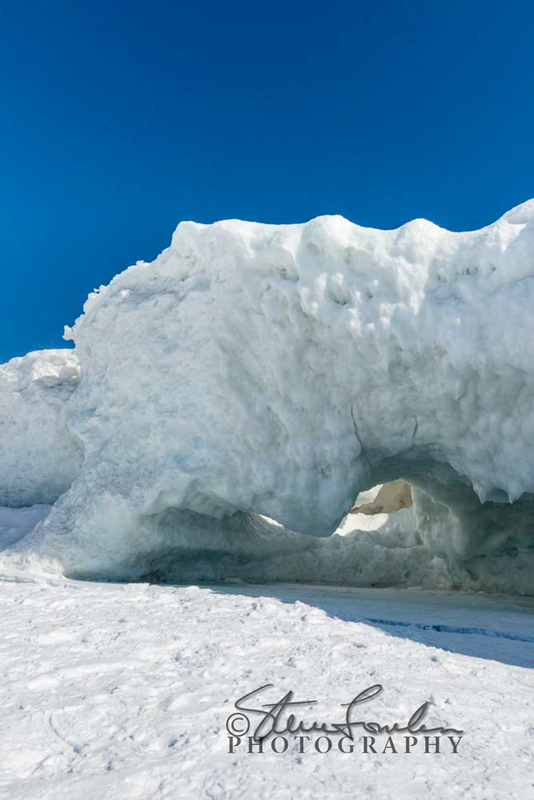 They form when sheet ice on the lake forms, breaks into chunks, is blown towards the shore and then piles up in the shallows. The pieces create overhangs and hollows which then get carved out further from wind and storms. 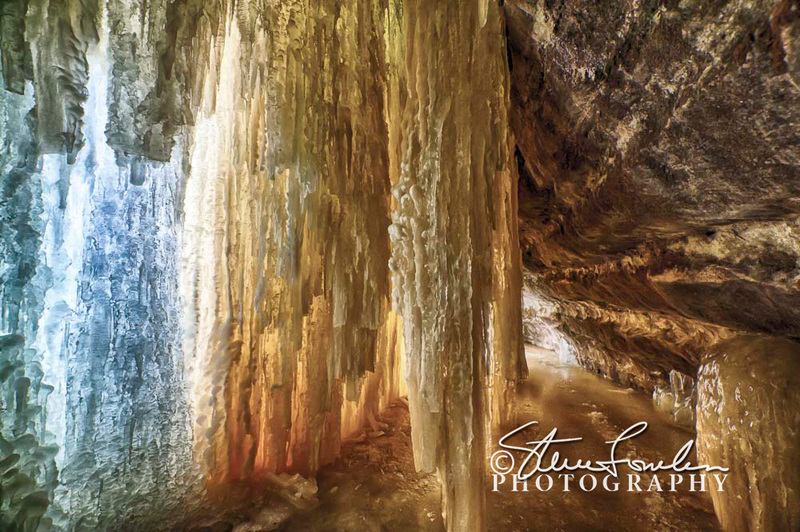 The result are these spectacular formations that happen only once in a blue moon. They have been very popular and hundreds of people have walk out to them to see. They are only a hundred yards off shore and very easy to access but by now I would be VERY cautious to venture out to them now that we’re starting to see some warmer temps. I have a few shot with people in them for scale. I love the heart shaped opening! 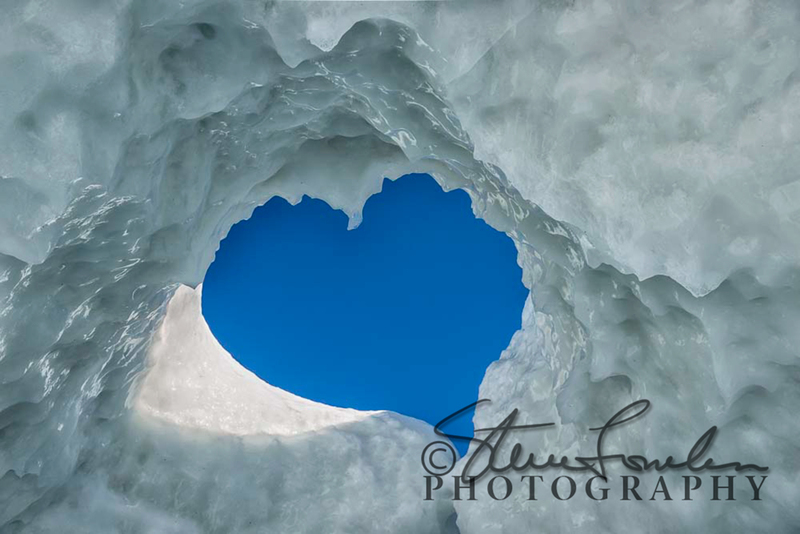 The next batch of photos are from the upper peninsula of Michigan and feature the ice caves in Eban Michigan. These are also easy to access and a mile or so walk each way from a parking area. 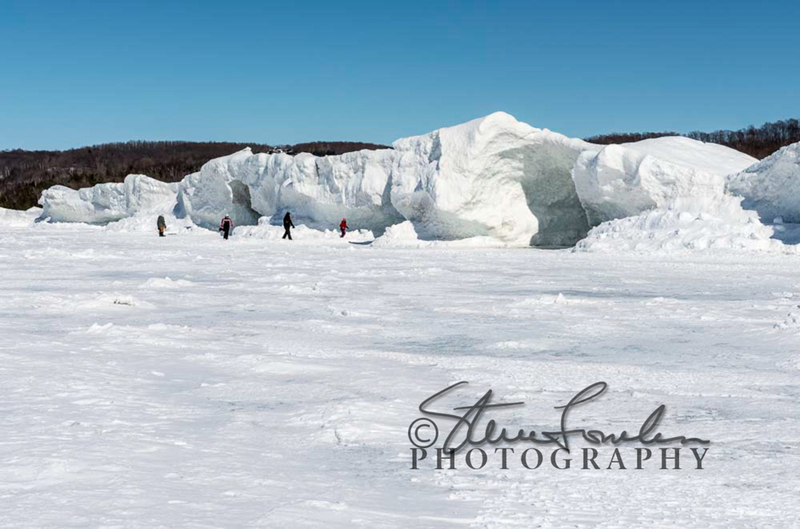 Ask anyone in the Munising, Au Train or Marquette area and they’ll direct you. 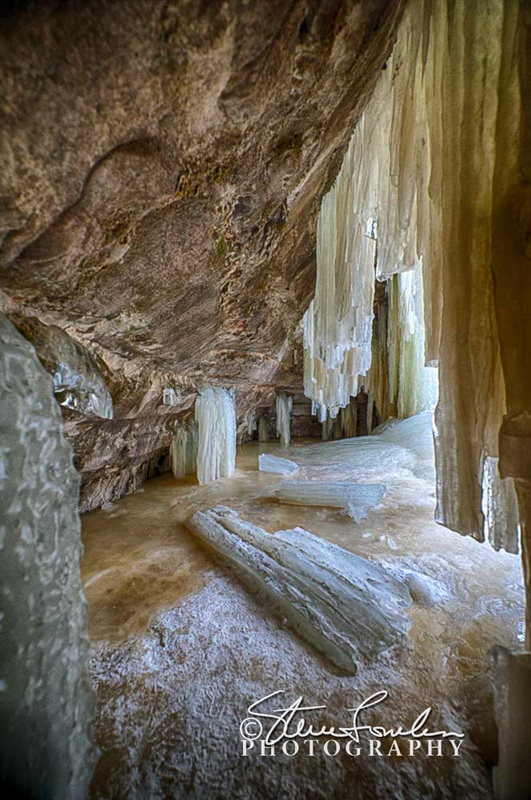 This formation is formed from watet dripping from an overhang rather than a true waterfall and produces stunning curtains of ice laced with minerals. A LOT of people go there so it’s difficult to get shots without people in them but here are a few of what I got. Camera gear is the usual Nikon gear but lots of different setups of lenses, HDR and supports. All edited in Photoshop CC with Nik plugins.